With Anthony Martial’s future at Manchester United unknown, the Old Trafford club is seeking alternatives for the Frenchman. While the Red Devils haven’t been prepared to let go of Martia, they now have a plan in place. Jose Mourinho is an admirer of Paris Saint-Germain forward Kylian Mbappe, and intends to go after him. PSG got Mbappe last season on loan, with a £166m deal set to be made permanent this summer. But they are in danger of breaking the Financial Fair Play regulations. PSG’s transfer dealings, including the £198m signing of Neymar from ​Barcelona last summer, have been the subject of investigations by UEFA. These investigations could force the French club to sell some players, and Mbappe comes as an option after the deal United have thought about. 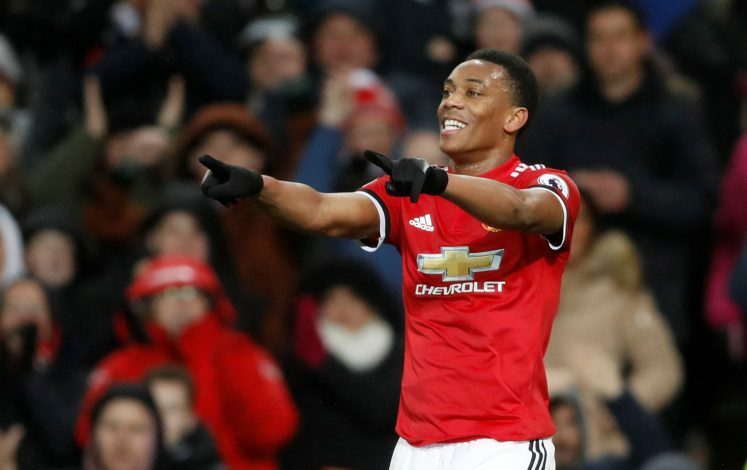 According to a report in the Mirror, United could offer them Martial in exchange of Mbappe. The English club values Martial at around £80m, and would pay the rest of money in an exchange deal. However, Manchester City are also interested in Mbappe, as Pep Guardiola is keen to bolster his attack. Should PSG decide to sell their starlet, then it would be a battle between the two Manchester clubs. To an extent, Jose would feel that he has a better chance with the option of Martial at his disposal. The player’s agent had made claims of the forward wanting to leave United, but then the final decision remains with the club. Marital has gone on to make 136 appearances for the Red Devils, scoring 36 goals in return.